When you stay at Castaway Beach Inn & Swim Up Bar in North Myrtle Beach, you'll be near the beach, within a 10-minute drive of Barefoot Landing and Alabama Theatre. 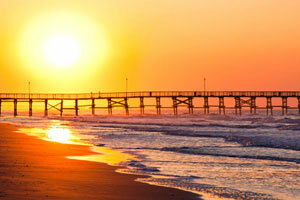 This beach hotel is 2.7 mi (4.3 km) from House of Blues Myrtle Beach and 4.3 mi (7 km) from Cherry Grove Pier. Make yourself at home in one of the 48 air-conditioned rooms featuring private spa tubs and flat-screen televisions. Complimentary wireless Internet access keeps you connected, and cable programming is available for your entertainment. Conveniences include refrigerators and microwaves, and housekeeping is provided daily. The preferred airport for Castaway Beach Inn & Swim Up Bar is Myrtle Beach, SC (MYR). The property is closed between 01 November and 07 February.